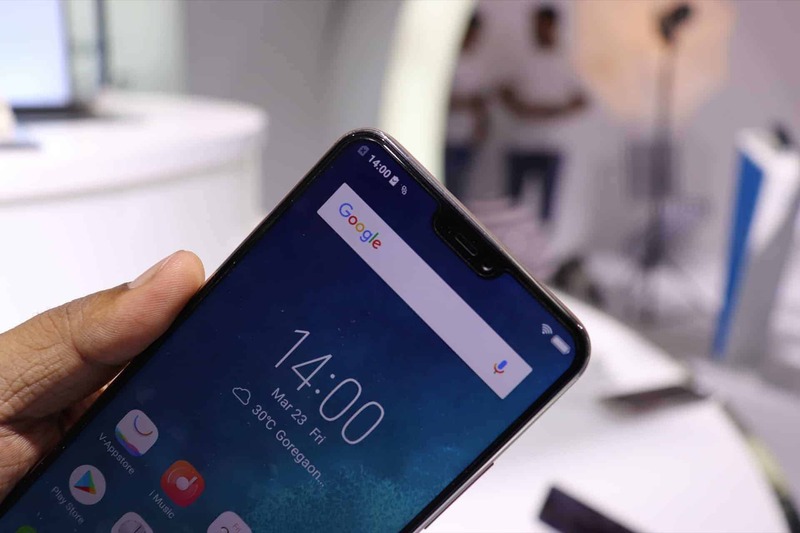 Vivo, the camera & music company that brought the trend of selfie smartphones in India has officially launched Vivo V9, India’s first notch phone that runs on Android. Along with the notch-display it has inherited the 2018 smartphone trends like 19:9 display, selfie camera with AI capabilities, and of course face unlock. It’s priced at Rs. 22,990 and the sale starts from April 2nd onwards. I was at the event covering the launch on our Twitter channel and got a chance to explore the Vivo V9 for a while. Here are my initial impressions of the new notch-phone. Vivo has been dominating the Indian smartphone market share for a while, thanks to their aggressive marketing. I was in an impression that the company is focusing more on making selfie smartphones rather than coming with new features until they revealed the concept phone – Vivo Apex. I was very much impressed with that concept phone as it truly gives the bezel-less experience. Fast forwarding a little bit, they launched Vivo V9 in Asian countries which resembles the iPhone X design. It is evident that it’s still not possible to provide a seamless bezel-less experience until and unless the OEMs find a way to incorporate the sensors and the front-facing camera inside the display like the in-display fingerprint scanner. So, a majority of the brands are inheriting the iPhone X design which is an ideal way to give the full view display experience. Vivo is not an exception here and in fact, they are the first to launch an Android notch phone into the Indian market. 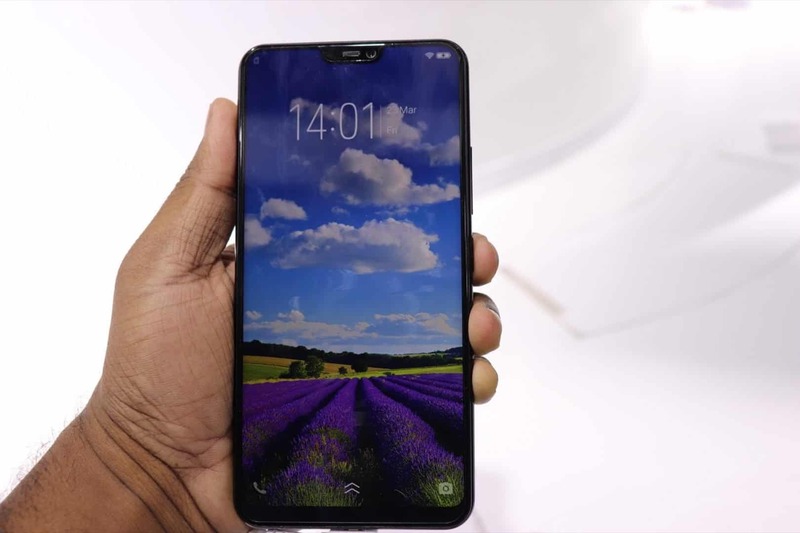 The notch at the top of Vivo V9 is quite small compared to iPhone X, and it’s due to the usage of fewer sensors. The rear side of the phone resembles HTC U11 and is of plastic made with a glossy finish. The fingerprint scanner is in the right position where our finger can usually reach and it’s quite fast. There’s a dual camera setup on the rear side where the main sensor is of 16MP and the other is of 5MP with an aperture of f/2.0. On the front, the display is a 6.3′ Full HD+ with an aspect ratio of 19:9. This makes it give a true 18:9 experience. Also, the screen-to-body ratio is 90% which is comparatively higher than what the other brands are offerings’. The main USP of the phone is the 24MP front-facing camera with f/2.0 aperture which features AI beauty mode. The phone runs on Android 8.1 Oreo out of the box with the new Funtouch OS 4.0 on top. It has 4GB of RAM, 64GB internal storage and is powered by a Qualcomm Snapdragon 626 Octa-core processor with Adreno 506 GPU. The battery range is of 3,260 mAh and is touted to last a day which would be further improved when AI learns the behavior of a user. As mentioned above, the phone’s UI is Funtouch OS 4.0 which is a new user interface for Vivo phones. On the first glimpse, the UI looks super fluid and response was fast. The icons and notification bar does resemble the iOS, but again, who hasn’t inspired from the Cupertino? I opened Chrome and browsed a little bit to see how the app behaves with the notch, and to my surprise, it doesn’t distract much. It’s reported that Android P is coming with notch-specific features, so it’s no wonder why many OEMs are adopting it. Coming to their USP, the selfie camera – the color looks pretty saturated to me. I tried both AI beauty mode and normal mode, and I see just a little difference in the skin tone. Unfortunately, I didn’t transfer the pictures, so couldn’t show it here, but I’ll provide everything in my review. The rear camera is actually great. The bokeh effect is good and could be better. The scene recognition is quite to similar what Huawei did in their Honor V10. It means, the camera sensor will automatically optimize itself based on the scene, like let’s say you’re taking a picture of a pet, or a plant, etc. Though I couldn’t get a chance to explore the AI capabilities or the face unlock, I believe they’re very limited. The face unlock works more like in OnePlus 5t, or the Honor View 10 and not like the iPhone X where the sensors create a 3D model of your face and constantly updates the changes. Also, there’s no special AI-assistant like Bixby or Siri, and V9 still uses the Google Assistant. Well, that’s my first impressions on the Vivo V9, and it’s definitely not the full review. So, I’d recommend waiting for my complete review of Vivo V9 beofre you plan to purchase it. Previous articleThe Notch Paradox – What’s the Story behind it?